ALMOST FULL - REGISTER NOW! 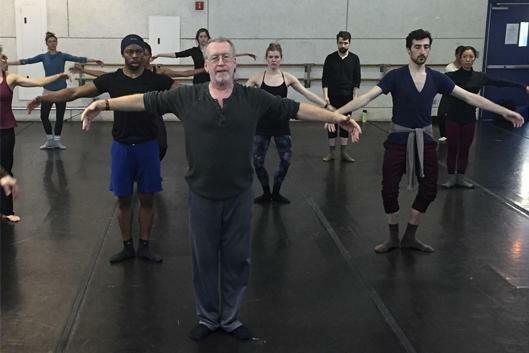 As an educator, Mr. Connor has been on the faculties of The Juilliard School, New York University (where he also worked as a choreographer and movement teacher for the Theater Department's Classical Studio,) and the City College of New York (where he was also Choreographer in Residence.) On leave for 2016/2017, Mr. Connor has been full-time faculty at the California Institute of the Arts for 13 years. He has been a guest teacher at many of the finest training centers in the world including the London School of Contemporary Dance, the Rotterdamse Dansacademie, Jacob's Pillow, Dresden's Palucca Schule, the Joffrey Summer Workshop, The Dance Studio in Novosibirsk, Russia, and the Rubin Academy in Jerusalem. His August is being presented at Jacob's Pillow this summer, and,this fall, his Corvidae will be performed in Germany and the U.S. as he begins his time as the Artistic Director position at the José Limón Dance Foundation.